Indian history is fraught with ruling-class intrigues, which tend to keep the lower classes in a perennial state of confusion. The fact that this history comes to us in a mythologised form is itself the biggest intrigue, obscuring as it does information about how the vast, diverse masses of the Subcontinent lived through the millennia. Reading Indian history, thus, becomes an exercise in speculation. If it provides one kind of insight for one group, it is capable of being interpreted equally plausibly in the opposite way by another. What eventually reaches the people is a partisan viewpoint at best and bewilderment at worst – a condition under which the ruling classes thrive. In this context, two books by Subhash Gatade, a committed intellectual and Left activist, are significant additions to the works of the fast-diminishing community of scholars who continue their work with unstinting commitment in these confusing times. The first book, Godse’s Children: Hindutva Terror in India, deals with the intrigues of the Rashtriya Swayamsevak Sangh (RSS), the right-wing, militant Hindu nationalist organisation, which, as Shamsul Islam writes in his foreword to the book, is “the flag-bearer of Hindu nationalism, believing in the superiority of the Aryan race, like Hitler and the Nazis”. The RSS believes that the Hindus belong to the Aryan race and that India belongs to them, while others – like the Muslims and Christians – are ‘foreigners’ because they followed religions which originated in non-Aryan lands. Consequently, they RSS (mis)appropriated Buddhism, Jainism, Sikhism, and other religions born in the Subcontinent, which represented historical protests against the hegemonic precepts of Brahmanism, the source creed of Hinduism. by Subash Gatade. Pharos Media, 2012. The RSS camouflaged its vision with Hindutva, or the ideology of Hindu superiority, constructed by Vinayak Damodar Savarkar, one of its more sophisticated proponents, who, because of his tryst with patriotism, was not ordinarily associated with the organisation. The RSS raised its clandestine network and infiltrated all possible segments of society, spreading its ideological venom during the pre-Independence days. While noticed by the colonial rulers for its nefarious activities, it only entered the limelight with the assassination of Mahatma Gandhi by one of its former members Nathuram Godse, a Brahmin youth from Pune whom Gatade calls “the first terrorist of independent India”. The RSS tried – unsuccessfully – to dissociate itself from this act, but was so baldly exposed that Brahmins, who were generally identified with it, faced mass anger in many parts of Maharashtra. The RSS was first banned by the British, and has been banned three times in Independent India: in 1948, following the assassination of Gandhi; during the Emergency (1975–1977); and in 1992 following the demolition of the Babri Masjid. During these periods, the RSS silently floated a number of other organisations in order to neutralise the government ban. The earliest manifestations of this strategy were a political party, the Bharatiya Jan Sangh (BJS), formed in 1951, and a religious organisation, the Vishva Hindu Parishad (VHP), formed in 1964. By 1967 the BJS had emerged as a major political force, winning 35 parliamentary seats with 9.4 percent of the national vote, almost doubling its share from 1962 when it had won 14 seats with 6.4 percent. But the BJS was still a distant competitor to the Congress. The nationwide unrest thereafter came as a boon to the party, which, donning the garb of a ‘defender of democracy’ transcended its restricted constituency to gain mass appeal. During the State of Emergency declared by Indira Gandhi in 1975, the BJS played an active role in the opposition, and many of its leaders were arrested. After the Emergency, the BJS merged itself into the Janata Party, formed by the diverse political forces that were brought together by their opposition to Indira Gandhi. The Janata Party captured power at the Centre, cashing in on mass anger against the Emergency during the 1977 elections. The internal struggles within the RSS led to fall of the Janata Party and, in 1980, the Sangh regrouped itself to form the Bharatiya Janata Party (BJP). After the communal upsurge created by the movement for the Ram temple in Ayodhya and the countrywide rath yatra that culminated in the demolition of the Babri Masjid in 1992, it entered the political mainstream. Behind this success was the organised force of the ‘Sangh Parivar’, as the family of RSS organisations came to be known. The advent of neoliberal globalisation in 1992 boosted morale within the BJP and the entire Sangh Parivar, evidenced by its electoral successes. It captured power in several states and thrice at the centre between 1996 and 2004. The US-led ‘War on Terror’, which stereotyped Muslims and identified them with terrorism the world over, emboldened the Parivar to escalate its hate campaign. It carried out an anti-Muslim pogrom in Gujarat in 2002, citing as catalyst the incident at Godhra in which 52 kar sevaks (Hindu volunteers returning from serving at the disputed site in Ayodhya) were burnt alive when their train bogie caught fire through causes yet to be conclusively determined. These actions could be deemed acts of terror, but were not so named. Meanwhile, the Indian police usually lost no time in dubbing acts by militant Islamists ‘terror attacks’. However, when Hemant Karkare, the chief of the Maharashtra Anti-Terrorist Squad (ATS), spotted a saffron hand in a series of blasts on 8 September 2008 in Malegaon that left 37 people dead and over 125 injured, it stunned the world. Karkare arrested eleven suspects by late October and was investigating their links to the Sangh Parivar when he himself was killed in the terrorist attacks on Mumbai on 26 November that year. Given the regular threats made against opponents of the Hindutva brigade, including those made by the late Shiv Sena supremo Bal Thackeray, many suspect that Karkare’s death was an execution carried out by Hindutva agents in the Maharashtra ATS. Indian investigating agencies had routinely blamed all these incidents on one or another Islamist militant group with handlers in Pakistan. In each of these cases, scores of innocent Muslims were arrested and tortured. Even after these revelations, many continue to languish in jail. Gatade shows how the Hindutva network infiltrated the army, the bureaucracy, the investigating agencies and the police. This reviewer was personally involved in investigations into police encounters with alleged terrorists, and each time found gaping holes in the narratives of the police. Yet only rarely is a police claim exposed as blatantly false, as it was in the case of Ishrat Jahan, a 19-year-old college girl from Mumbai who was gunned down along with two other so-called ‘terrorists’ allegedly on a mission to kill Narendra Modi, the chief minister of Gujarat. Most incidents included in Godse’s Children were reported in the media, but they failed to receive the public attention they deserved. Such is the establishment propaganda that any terrorist act is immediately blamed on Muslims, allowing the investigating agencies to make scapegoats of groups of Muslim youths. There is scarcely any scrutiny of the plethora of Hindu ashrams and mutts that have mushroomed over the last two decades, and could well be implicated as critical nodes in the Hindutva terror network. Consider, for example, the bomb blast in September 2010 at a Gurukul run by Maharshi Dayanand Ashram in Bhadas village of Mewat district in Haryana. This Gurukul, with 60 students on its roster, would not ordinarily be suspected of clandestine or illegal activity. However, Swami Mitranand, a teacher in the Gurukul, confessed to police that detonators that had been hidden for several years in a water tank burst while being dried with a heater. Soon afterwards, another example came to light in Malab village near Nuh town and Bhadas after a curious incident in the dead of night. People in Malab were woken up by loud thuds and found one Parjapat Sitaram smashing an idol in the local temple. He revealed under duress that he was working for a person named Ramesh, suspected to be a Sangh Parivar functionary, in order to blame the act on Muslims and subject them to police atrocities. Meticulous documentation of these seemingly minor incidents allows Gatade to draw a larger picture of the Hindutva militant network. Gatade traces the network’s links across the globe. Activists in US unearthed one arm that acted as a fundraiser. The India Development Relief Fund (IDRF), a registered US charity established in 1989, clandestinely performed the role of supporting the Sangh Parivar and its constituent organisations while ostensibly fundraising for organisations in India working towards development and tribal welfare. Until it was thoroughly exposed, the IDRF emphatically denied any connection with the Sangh Parivar. Similar groups are also suspected to exist among NRIs in Europe, Australia and Africa. The 4000-page charge-sheet in the Malegaon bomb blasts exposed plans to create a separate Hindu nation, as well as extensive attempts by Hindutva militants to network with Nepal and Israel. Gatade describes how “members of Abhinava Bharat [the outfit that spearheaded the terrorist initiatives of the RSS] were engaged in establishing links with similar extremist groups in other areas including their counterparts in Bangladesh and Nepal”, and how India’s Overseas Investigation Agency had tried to use Abhinava Bharat’s contacts in Bangladesh to make inroads there. 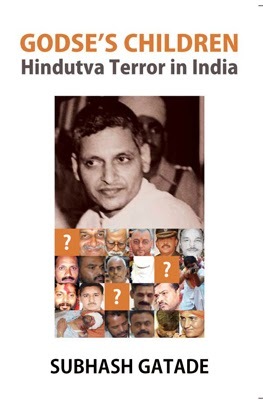 The book points out that acts of Hindutva terror are not necessarily committed only by Hindus. Indeed, they could well be executed through Muslims, making it that much more difficult to trace the real source. Besides such big-ticket acts of terror, the Hindutva forces have also been indulging in attacks against minorities. As part of their tactics, Hindutva activists attacked churches in Gujarat and Kandhmal in Orissa, and staked claim to Sufi shrines such as the Haji Malang Dargah in Kalyan and the Baba Budan Giri shrine near Chikmagalur in Karnataka. Many of these acts were investigated at government level, and Hindutva activists were implicated each time. Examples include the findings of the Madan Commission, which investigated communal riots in Bhiwandi, Jalgaon and Mahad in 1970; the Reddy Commission inquiring into the 1969 riots in Ahmedabad; and the Srikrishna Commission’s inquiry into the 1992-93 Mumbai riots. Despite the fact that they led a movement to demolish a 500-year-old mosque and their proactive role in the burning of churches and killing of pastors, the terrorism of the Hindutva brigade has not received the attention of India’s ‘terrorism watchers’. Gatade challenges the general understanding – pervasive even in liberal circles – that Hindutva terrorism is reactive, and less dangerous than the terrorism treated as synonymous with Muslims and/or Pakistan. An important point to note is the reluctance of investigating agencies to name organisations belonging to the Sangh Parivar, even when its members are proved to be involved in acts of terror. This complicity is not surprising given the evidence of their infiltration by Hindutva forces. In Who killed Karkare? The real face of terrorism in India, S M Mushrif, the former Inspector General of Police for Maharashtra, claimed that Karkare was executed by Hindutva agents during the confusion of the Mumbai terrorist attacks. Shahid Azmi, a brilliant young lawyer who knew too much about the anti-terrorist operations, was killed later. Azmi had voiced fears for his safety to his friends – including this reviewer – believing he would be targeted by the ATS, for whom he had become an inconvenience. He was murdered in February 2010 by three gunmen supposedly hired by Mumbai gangster Bharat Nepali. The details provided in this book are sufficient not only to question the governing establishment on its inaction and bias, but also to prosecute many of the heads of the investigating agencies for covering up crimes, protecting criminals, committing atrocities against innocent people, and misleading the nation. But who will take such steps? Hindutva, as Godse’s Children suggests, should not be associated with the Sangh Parivar alone. It should be understood as a mindset shared by the entire ruling class on both ends of the political spectrum. by Subhash Gatade. Three Essays Collective, 2011.
in various newspapers, magazines, blogs and websites. The Saffron Condition is divided into three parts. The first of these – ‘Saffronisation and the neoliberal state’ – buttresses points brought up in Godse’s Children, while the remaining two sections deal with the place of caste in new India and the state’s record on human rights. One significant section critiques the government’s stand against the inclusion of caste in the Durban conference – the World Conference against racism, racial discrimination, xenophobia and related intolerance – held in August and September of 2001. India had taken an intransigent position on the question of Dalits; although it was ready to discuss the discrimination faced by the Romas of Europe and the Burakus of Japan, it had officially expressed strong reservations about the discussion of Dalit oppression. Gatade rightly finds this denial intriguing, given that India was a signatory to the Convention on the Elimination of Racial Discrimination which addresses discrimination based on ‘descent’. Gatade points out the obvious discrepancy between internationalising the issue of apartheid, in which India took a vanguard position, and its attempts to push the problem of caste discrimination under the domestic carpet. In an article titled ‘Inverting Dalit consciousness’, Gatade deals with Dalits acting as foot-soldiers of Hindutva forces during the anti-Muslim carnage in Gujarat in 2002. Although such incidents were limited to certain pockets of Ahmedabad, it was so sensationalised by the media that it created the impression of a widespread phenomenon. In many parts of Gujarat, there were several examples of Dalits sheltering Muslim families from attack. These realities notwithstanding, there was still cause for introspection as to why even limited numbers of Dalits participated in the Hindutva agenda. Barely two decades before, Gujarati Dalits were battered in one of the worst anti-reservation riots. The 1990s have witnessed increasing insecurity among Dalits due to neoliberal globalisation and the attendant withdrawal of the state from its obligation to provide health, education, sanitation, and other key public services. The Dalits, who form the bulk of the poor, have been adversely impacted by these policies. The explanation for this ‘inversion’ of consciousness should thus be seen not only in this insecurity, but also in light of the Hindutva offensive and the failure of the Dalits and Left parties to offer any viable alternative to the neoliberal agenda. The ‘inversion’ is also supplemented by the confounding opinions issued by the so-called Dalit intelligentsia about the Dalit-Saffron alliance. Some, such as Dalit litterateur Gangadhar Pantawane and poet Namdev Dhasal, justify it on ‘tactical’ grounds. Others, including Chandrabhan Prasad and Raosaheb Kasabe, argue that Dalits are oppressed by new kulaks – relatively affluent farmers – from the ‘backward’ castes, and that their alliance with an upper-caste party like the BJP can save them from this onslaught. Still others, such as the Bahujan Samaj Party (BSP), voice the unprincipled argument that Dalits must become the ruling community, vulgarising BR Ambedkar’s position. Gatade extends this argument in yet another article that deals with the situation in Uttar Pradesh, where the cohabitation of the Hindutva (BJP) and Bahujan (BSP) politics has failed to catapult to power the Samajwadi Party, which claims to represent the interests of OBCs (Other Backward Castes). The third section of 26 essays dwells on diverse issues involving the violation of human rights. Gatade pertinently looks at the “privatisation of the internal security apparatus” under the patronage of the ‘public’ state, much along the lines of the trend toward privatisation in the economic arena. Other essays continue to paint a sordid picture of the Indian State as a prime violator of human rights, highlighting, among many other things, Irom Sharmila’s struggle in Manipur for the withdrawal of the Armed Forces Special Powers Act, Binayak Sen’s harassment under draconian security laws, the Delhi Prevention of Property Defacement Act of 2007, and the case of the Police Commissioner of Ahmedabad filing a sedition case against the Ahmedabad edition of the Times of India for carrying a series of articles on his alleged links with a gangster. It is far from easy to comment on contemporary events with ideological consistency, but Gatade achieves this. Some might expect the book to consider all these diverse issues within a single theoretical framework, perhaps seeing them all as manifestations of neoliberal ideology. It is never that simple, and Gatade does not make it so; yet he manages to point out the correlations between the resurgence of Hindutva, the ascendance of neoliberalism, India’s increasing casteism, and the de-radicalisation of Dalits. 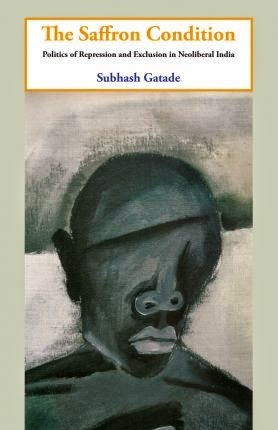 Of course, Gatade could have consciously constructed an overarching theoretical framework; the activist in him would surely have appreciated articulating a struggle that could simultaneously resist the menaces of Hindutva, casteism and human rights violations. In the absence of such a single binding framework, the concerns dealt with in the two works – particularly in The Saffron Condition – tend to seem discrete issues. However this does not diminish the value of these books. With the increasing probability of a BJP-led coalition coming to power at the Centre in 2014 thanks largely to the seemingly unending arrogance, mismanagement and misdemeanours of the Congress, India is likely to experience a new wave of the Hindutva onslaught. In the impending darkness, Godse’s Children and The Saffron Condition will provide much-needed illumination. This article was first published in Himal Quarterly issue 'Are we sure about India?' (Vol 26 Number 1). Anand Teltumbde is professor of management at the Indian Institute of Technology, Kharagpur. I was interested in a discussion of Irom Sharmila but this reviewer in a long piece had only a part of sentence stating that the book had an article about her struggle. That sums up mainland India's respect for the northeast.